Join us now through Sunday, July 24th, at the 7th Annual Prescott Film Festival! This amazing annual event brings unique and original films to PRESCOTT. Enjoy the opportunity to watch a variety of independent films, including documentaries, dramas, foreign, and short films, that rarely get screened in our area. Check out the work of future filmmaking stars at the festival’s Student Short Film Program on Sunday which features films by local high school students. Along with the screenings, this festival offers awesome workshops for aspiring filmmakers and movie lovers, which range in topics from film sound to screenwriting. This is truly one of the local events that make our community such a great place to live! Film screenings and workshops are held at the Yavapai College campus (1100 East Sheldon Street, Prescott, AZ). Tickets for the films are $12 for regular admission and $6 for students with a valid ID. They can be purchased at the box office the day of the screenings or online HERE. All workshops are free! For a list of dates and times for all screenings and workshops, check out the 2016 Program Booklet. Don't miss out on the opportunity to see some amazing and inspiring films! We look forward to seeing you this week at the 7th Annual Prescott Film Festival! Spruce up the landscaping of your PRESCOTT AREA HOMES with a garden! Due to the dry and hot climate, gardening in the Southwest can be a challenge. You want to use tough plants that can easily thrive without a lot of care. Turn to plants that naturally grow throughout the region to ensure a beautiful garden all year round. 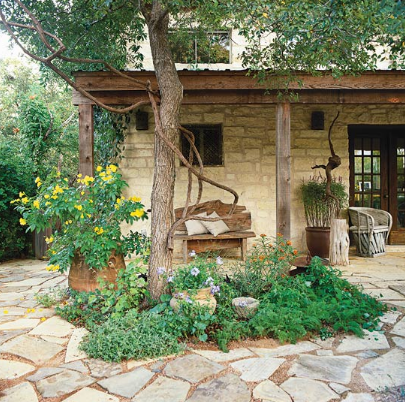 Here are the 15 top native plants for southwestern gardens! WINE CUPS (Callirhoe involucrata) – From late-spring to mid-summer, a splash of red will fill your garden with this lovely ground cover plant. Make sure to place in full sun and well-drained soil. GREEN-FLOWERED HEDGEHOG CACTUS (Echinocereus viridiflorus) – This awesome native plant looks great in desert gardens! Its green, spiny orbs add interest to your landscape and, in early spring, iridescent green flowers blossom. SPANISH BAYONET (Yucca harrimaniae) – The Spanish Bayonet makes your garden look spectacular every season. This blue-green evergreen will grow up to 4 feet tall and sprout white bell-shaped flowers during the summer months. TEXAS RED YUCCA (Hesperaloe parviflora) – Attract hummingbirds to your garden with this bright red floral plant. This plant thrives in the dry, hot Arizona climate. PINELEAF PENSTEMON (Penstemon pinifolius) – Your garden will turn a brilliant orange-red during the summer with the addition of the Pineleaf Penstemon. Throughout the rest of the year, the texture of the foliage will add interest to your landscaping. YELLOW COLUMBINE (Aquilegia chrysantha) – This delicate beauty attracts butterflies and hummingbirds. It is incredibly resilient to heat and blossoms yellow flowers throughout the year. BUNNY EARS CACTUS (Opuntia microdasys) – An adorable cactus, the bunny ear cactus will rarely be spiny and produces bright yellow flowers starting in the spring. CALIFORNIA FUCHSIA (Zauschneria californica) – This perennial blooms in late summer with long-lasting orange and red petals. Place this groundcover in the full sun. PERENNIAL SUNFLOWER (Helianthus maximiliani) – Your garden will stay lovely into the fall months with spectacular golden-yellow flowers on stems that grow up to 8 feet tall. TETRANEURIS (Tetraneuris acaulis) – Add interest to the border of your garden with this long bloomer. There will be daisy-shaped yellow flowers from spring through fall and in the winter months the blue-green foliage continues to add color. DESERT SUNFLOWER (Geraea canescens) – Another resilient plant, the Desert Sunflower blossoms twice in the year, both spring and fall. It also adds brilliant texture to your garden with fuzzy gray foliage that resists wildlife. INDIAN PAINTBRUSH (Castilleja integra) – Beautiful red flowers will last until the frost with this native plant. It will return to your garden every year and is drought-tolerant. AUTUMN SAGE (Salvia greggii) – Beautiful shades of red, purple, pink, and violet will appear from late summer to fall and will attract hummingbirds and butterflies to your garden. CALIFORNIA POPPY (Eschscholzia californica) – Delicate flowers will add beauty to your landscaping. In the summer, enjoy the variety of orange, yellow, cream, apricot, and pink shades of blossoms. RED HYSSOP (Agastache rupestris) – An incredibly aromatic plant, add scent and color to your garden with the Red Hyssop. This perennial produces long-lasting orange, red, and apricot petals and thrives in dry areas. If you're looking to put your Prescott, AZ area home up for sale, adding any of these beautiful plants, along with stones, trees, and other accents will drive up the value of your home! Not to mention add terrific curb appeal...and that's the first impression that a potential buyer has of your home! 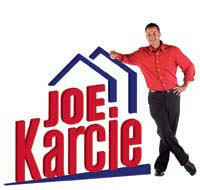 For more Home Selling Tips, give our team a call or visit our website at www.joekarcie.com. 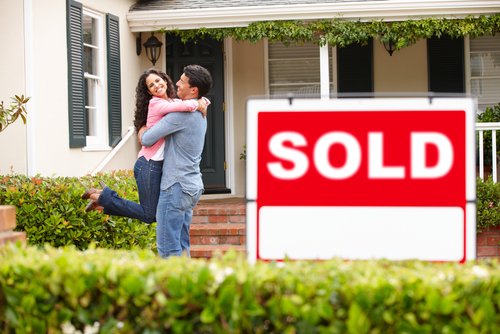 You've made the big decision...you've decided to put your Prescott Area home on the market! BRAVO! 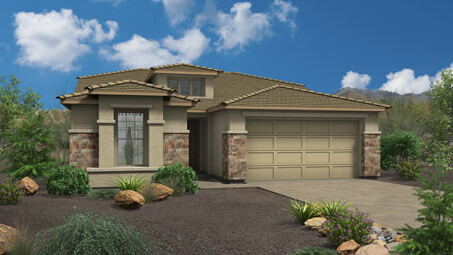 It's a fantastic time to take advantage of the incredible Arizona housing market. 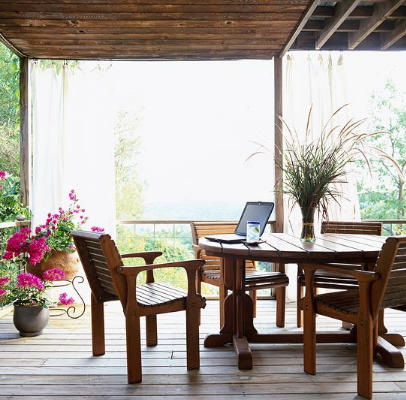 Now you have a few key decisions to make; what do I need to fix and what do I negotiate the sale of the home, before actually finding the BEST Real Estate Agent to list my home? 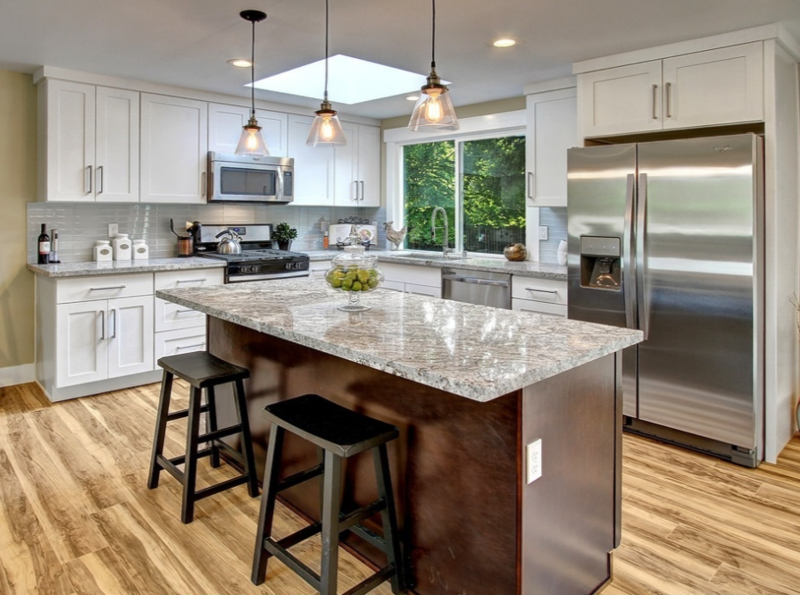 First of all, it's easy to miss the everyday wear and tear that a home takes over the years, so don't think you're alone in having to do some work on the cleaning and repairs before putting your home on the market. You're going to want to walk through your home with a critical eye...room by room...with a notepad, taking down detailed notes from floor to ceiling. I would also recommend finding that "awesome Real Estate Agent" on the front end. 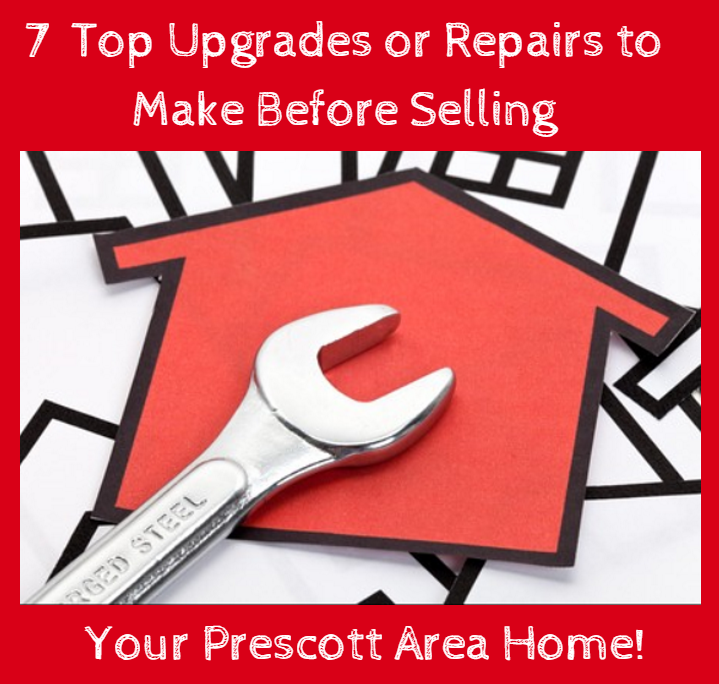 Simply because a great Real Estate Agent is extremely helpful in guiding you through this process and knowing what are the critical elements that need to be upgraded or repaired, and what may just need to be negotiated later. After all, we all have a budget we must stay within so having a trained eye as a partner is a huge plus at the START of this process! A Fresh Coat of Paint- This is by far one of the cheapest and easiest ways to update, refresh and even change the look of your home or room before you sell...and you don't even have to hire a professional! Just remember a few basics; choose lighter, neutral tones so that your new buyer can make the home their own, it's not important to paint every room- just the ones that really need it. Lastly, if you do have wallpaper in your home- REMOVE it! You may love how it looks, but do your new homeowners a favor and give them a clean slate to create their own look. The Kitchen- You've heard it a hundred times..."The Kitchen is the Heart of the Home". It's true in many ways. Most people are looking for the 'ideal' kitchen- spacious counter space with lots of cabinets and state-of-the-art appliances. If you don't have all of this, don't fret, most of us don't. But don't go for a major kitchen overhaul either! A few tweaks here and there can make major differences. For instance; swap out your hardware on your cabinets. Paint outdated cabinets put in new faucets or fixtures. If you have a little money to spend, put in granite countertops. And by all means, make sure you have cleared your counters completely before you ever show your home! Bathroom Remodel- The throne, that's right. It's still a major draw and always will be. So what can be done here? Deep cleaning for starters! Scrub that grout, make sure tubs, sinks, and toilets look brand new! Then check for leaky faucets and replace if necessary. This is one room that lighting is critical. If lighting is dull, replace immediately. Have a little extra cash? Again, go for a good countertop- granite or even marble are a great choice for the bath! Side Note- When staging your bathroom, try using white or light neutral colored towels. It reminds people of a spa and looks crisp and clean. Nail Holes & Spackling- I know it sounds like common sense but it really does need repeating...you need to go room by room and fill your nail holes, cracks, etc. Spackle, sand, and paint. Every room should look like it's brand new. A potential buyer should not walk into a room and think "wow...we've got a lot of work to do in here!" If that happens, your sales price goes down. 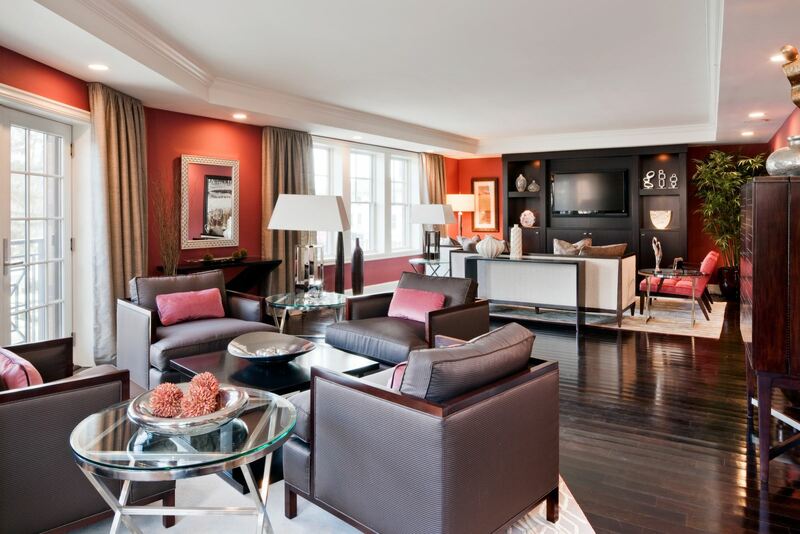 Adequate Lighting- When showing your home you want each room to show like a 'showroom'. However, poor lighting can often ruin a home's potential sale. Make sure that each room has adequate lighting so potential buyers can see what each room has to offer. This should include the natural lighting each room invites as well. Since it's summertime, make sure your window dressings are appropriate for the season. If you have a heavy drape, ditch them for a cotton one or just a blind for the season. Make sure your closets have adequate lighting too! Hardwood Floors- So many of our homes have gorgeous hardwood floors today. These can be a blessing or a curse depending on where you live if you have pets, children, high traffic areas and more. If you have hardwood and they are looking very distressed, it's definitely in your best interest to get those floors refinished...or at the very least buffed and polished. 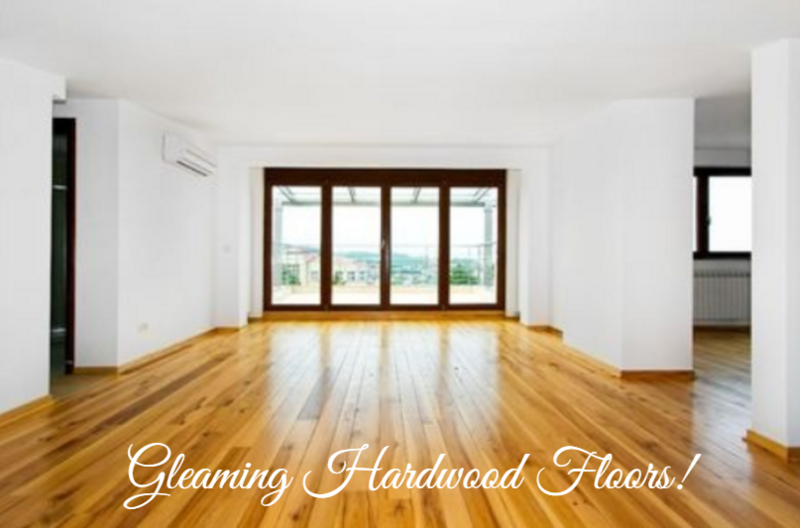 Nothing looks better than entering a home and seeing gleaming hardwood floors! That is a CLOSER right then and there! The Fourth of July is almost here! There are exciting family-friendly events going on this holiday throughout the PRESCOTT area that we wanted to share with you! Spend the holiday with live entertainment, kids activities, delicious food, and, of course, spectacular fireworks displays! Bring the whole family down for this fun-filled event. Eat delicious treats from the food trucks and enjoy a beverage from the beer garden. The kids will love the inflatables and obstacle courses. Dance the evening away to the numerous bands performing and end the night with a spectacular fireworks show. Start the holiday weekend off with a celebration at StoneRidge in Prescott Valley. Dine on some delicious barbecue, jam to Eagles tribute band One of these Nights, and have fun playing the carnival games. Enjoy food and music all day at Prescott Valley’s annual celebration. For more fun, buy a ticket to the 4th Fun Zone which will be filled with great activities for the kids, including games, crafts, a rock wall, inflatables, and much more. Take in one of the best fireworks shows northern Arizona has to offer at the end of the night. Spend the day with family eating food, listening to music, playing games, and watching the fireworks. Celebrate America’s 240th birthday at one of these amazing events in the Prescott area! The Joe Karcie Team wishes you and your family a very Happy and Safe Independence Day! Looking for something fun to do in PRESCOTT? There are several fun events coming up throughout the rest of June for you and your family to enjoy! Whether its music, nature or the rodeo, these summertime events offer something for everyone! Moon Walk: 7:00 pm at Highlands Center for Natural History in Prescott. This free family event offers a nature walk at night to learn about the stars and the moon. Frontier Arizona Experience: Living History: 10:00 am – 3:00 pm at Fort Whipple Museum in Prescott. Step back into history and see the Arizona of the past through the eyes of an Old West foot soldier. Admission is free. Shakespeare in the Pines: 6:00 pm at the Highlands Center for Natural History in Prescott. Enjoy an outdoor performance of William Shakespeare’s comedy “All’s Well that Ends Well”. Along with the performance, catered appetizers and beverages will be provided. This fun event raises funds for the center’s science-based youth and adult programming. Purchase Tickets Here ($60). Prescott Blues Festival: Located in downtown Prescott. The 35th annual Prescott Blues Festival is a free music event that features traditional and contemporary artists from around the country. Enjoy food for purchase or bring your own picnic. 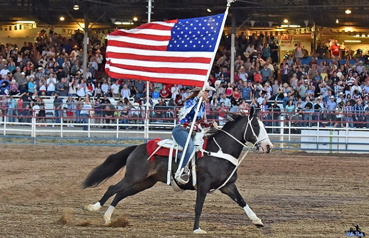 123rd Annual World's Oldest Rodeo: Located at the Prescott Rodeo Grounds. Occurring since 1888, this event features eight performances and is the premier community event for the Prescott area! Enjoy several days of rodeos, parades, an arts & crafts show, dance, wild horse race and much more! Purchase Tickets Here.